The Natural Resource program provides students with the knowledge and skills to be proficient in the technical aspects of management and protection of forest resources. Graduates will successfully perform as natural resource technicians using a science based approach, with an understanding of social, economic, and environmental issues within the natural resources field. The Forest Resources program provides graduates with broad based knowledge for the management of forest based resources. Students within the program complete course work designed to develop an understanding of the interactions between society’s needs and ecological principles as they impact a variety of resource management outcomes. The Forest Resources emphasis area targets students with an interest in forest management, wildlife management and/or recreation management. Students interested in law enforcement careers within in the field of Natural Resources are encouraged to follow a schedule of courses which include Introduction to Criminal Justice and Introduction to Natural Resources Law Enforcement. Upon completion of Itasca’s program, students may apply to Hibbing Community College and with an additional 34 credits, complete their Law Enforcement Program. Through a partnership with Hibbing Community College, students may begin their program at Hibbing while completing their AAS degree at ICC by registering for select on-line courses. The Geospatial program ensures students are prepared with a background in both forest management and the ability to effectively utilize technology common to natural resource field technicians. Agencies such as the United States Forest Service and Minnesota Department of Natural Resources seek graduates capable of integrating technological applications within routine, field based duties and the Geospatial emphasis of the Natural Resources program ensures that graduates have these valuable skills. Employment outlook for graduates with geospatial skills is excellent and is expected to grow by 26% across the state between 2016-2026 (Minnesota Employment & Economic Development). The Wildland Firefighting program consists of eight National Wildfire Coordinating Group (NWCG) courses taught by certified instructors and natural resource classes. The goal of the program is to provide graduates with the necessary training and certification to become wildland firefighters while providing a good background in natural resource skills. Graduates from this program are working for state and federal firefighting agencies like the Minnesota DNR and the US Forest Service. The demand for trained fire personnel continues to grow nationwide. The Wildland Firefighting Program consists of seven NWCG fire classes taught by certified instructors along with key Natural Resource courses. The goal of the program is to provide graduates with the necessary background to become wildland firefighters and also teach some Natural Resource skills which can help them to find employment during non-fire periods. The current job market for wildland firefighters is excellent, and they are being hired by many natural resource agencies. Itasca Community College is committed to meeting the needs of the local and regional community, and offers a fully online, 16 credit Geographic Information Systems (GIS) Certificate. ICC utilizes Environmental Systems Research Institute's ArcGIS software, a world leader in GIS development and applications. GIS is a vital tool that can be applied to areas as diverse as business, law enforcement, urban/regional planning, forestry, health and human services, and its application is well integrated at all levels of government. The curriculum reflects input from local, regional and national GIS professionals, and is tailored to prepare individuals with the technical skills and confidence to be productive within the professional GIS working environment. Job opportunities are excellent nationwide. Sharing the campus also provides an outdoor classroom environment with five hundred acres available for study and other activities like hiking and cross-country skiing. Students can receive individual attention and assistance because classes are small (approximately 20 - 25 students). The college works closely with many area forestry agencies and industries which provide students with internship opportunities and access to experts in the field. Classes incorporate field labs that allow students to apply what they have learned in the classroom out "in the field." You will work together with your classmates on a variety of crews to conduct a variety of field labs. These labs require students to carry equipment (up to 30 pounds) through varied forest conditions. To achieve the learning objectives for field based classes, students should be in good physical condition and come prepared to work outdoors in rough terrain, heavy brush and adverse weather conditions. Most student recall the field labs as one of the highlights of their education, and employers identify these labs as the number one tool to prepare students for jobs. Students will complete a Natural Resource internship that provides valuable career experience in their chosen field. These internships interaction with natural resources professionals and provide excellent contact to future employers. In order to be prepared for these internships, students must maintain a 2.0 grade point average both within their field and overall. Students who are prepared can complete their field of study in two years by following the course path outlined in any one of the four degree emphasis areas. To complete a degree, a student must maintain a 2.0 grade point average both within their field and overall courses. Students requiring additional assistance can follow alternate program paths designed to improve success. Contact counseling staff for details. Our program prepares graduates for and successfully places them in a wide range of natural resource careers with federal, state, and county agencies or with private companies. Timber inventory, wildlife habitat management, firefighting and surveying are among the duties of many natural resource technicians. Natural resource managers (with four-year degrees) may work as wildlife biologists, soil scientists or hydrologists. Law enforcement graduates may work as conservation officers, police officers or in park security, while GIS graduates find careers in a variety of fields. Wildland firefighting graduates who successfully complete the course and pass a physical test will be eligible for a red card issued by firefighting agencies in the U.S.
All students in the Natural Resource program complete an Internship. The Internship is designed to allow students to gain firsthand knowledge of the working environment for Natural Resource professionals. Department staff and faculty assist students in securing internships with a wide variety of public and private employers. 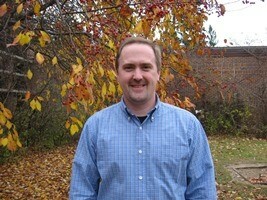 Brad has been a full time Instructor in courses related to forest management at Itasca Community College since 2008. 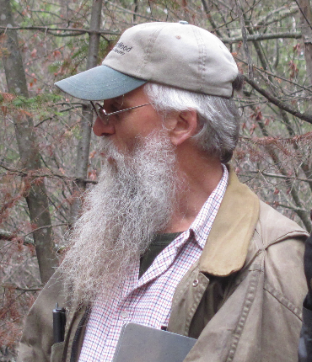 He teaches courses in Forest Inventory, Forest Management and Silviculture. Education: Bachelor of Science in Forest Resources with an emphasis on Silviculture and Ecosystems from the University of Minnesota; Master of Science in Forest Resources/Silviculture, with supporting work in Forest Soils, Forest Genetics and Statistics. Previous Employment: Brad retired from public land management in 2007 after 26 years of working the field. Employment history includes Staff Forester and District Forester for Itasca County Land Department; Silviculturist for St. Louis County; Inventory forester for Boise Cascade Corporation; Forest Inventory and Aerial Photo Interpretation for Minnesota Department of Natural Resources, Division of Waters; Inventory Forester, and Teaching and Research Assistant for University of Minnesota. Tim’s academic forestry interests include spatial research in forest communities, small scale lumber production & drying, and alternative forest products. Tim is a maple syrup enthusiast, part time timber sawyer, and furniture builder. Previous Employment: GIS Technician, University of Minnesota Natural Resources Research Institute; Survey Technician, Clint Sherrill and Associates, Albuquerque NM; Research Assistant, University of Connecticut; Spatial Analyst/Water Resource Tech, Confederated Salish and Kootenai Tribal Government, Pablo MT; Spatial Analyst & Unit Supervisor, Minnesota DNR Forest Inventory Office. Tim Coordinates GIS within Associate of Applied Science, Natural Resources, Associate of Science, Geography/GIS and GIS Certificate programs. Tim supports ICC’s Associate of Arts Program (Geography, Earth and Environmental Sciences). Education: Bachelor of Arts, Geography, Humboldt State University, CA; Master of Arts, Geography, San Diego State University, CA. Emphasis in Fire Behavior Modeling in Geographic Information Systems. Previous Employment: Youth Conservation Corps Coordinator (Yosemite National Park); Backcountry Ranger (Yellowstone National Park); Fire Fighter (Sequoia & Kings Canyon and Yellowstone National Parks); Cartographer, Natural Resource Conservation Service and GEO/Graphics, CA; Environmental Analyst/Cartographer, Keller Environmental Associates, CA; Geography Instructor: Mesa & Cuyamaca Community Colleges, CA; GIS Coordinator, Grand Teton National Park, WY. Lee is the lead instructor for the Wildland Fire Fighting program. Education: Bachelors of Science Degree in Forestry from Southern Illinois University. Previous Employment: Lee has worked as a Consulting Forester in two states and as a Wildland Firefighter with the Minnesota Department of Natural Resources. He has had numerous fire and aviation assignments in the majority of the western states and Alaska, providing a diverse background in fireline and aviation operations. Lee has extensive experience in providing wildland firefighter training, aviation training for wildland firefighters, and training coordination with National Guard and State Patrol aviation resources. Meadow’s academic interests include wildlife ecology and management, forest ecology and management, hunter recruitment and retention (R3) and the North American Model of Conservation. 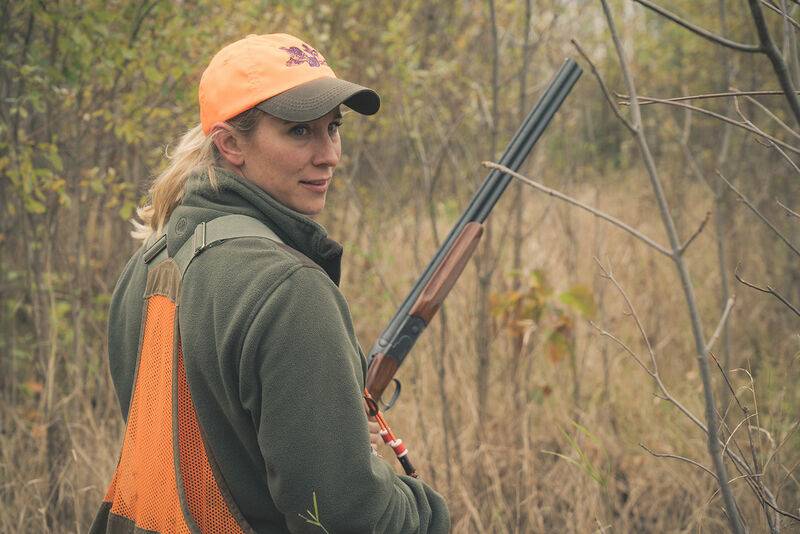 Meadow is an avid hunter, angler, and forager and is involved in R3 efforts in the state of Minnesota including a seat on the MN DNR R3 Citizen Council. In addition, Meadow is active in outdoor media efforts regionally, nationally and internationally. Previous employment: Various Technician Positions throughout the Western United States. 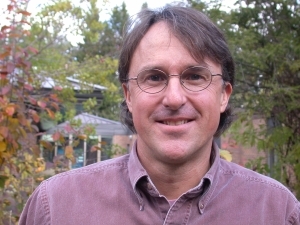 Fisheries and Wildlife Biologist, Stillwater Sciences, California. Contracted Desert Bighorn Monitor New Mexico Department of Game and Fish. Research Associate, University of Minnesota. Bear and Furbearer Research Assistance, Wisconsin Department of Natural Resources. Assistant Area Wildlife Manager, Minnesota Department of Natural Resources. Part time Faculty, Itasca Community College. Wildlife Habitat and Contracts Specialist, Minnesota Department of Natural Resources. 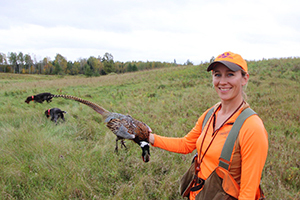 Regional Wildlife Biologist, Ruffed Grouse Society and American Woodcock Society. For over ten years, Joline has been a part of ICC’s Natural Resources Department working with students to develop and improve lab and study skills while supporting students through their college experience, a position she feels has been by far, the most rewarding. Education: A graduate of Vermilion Community College, Joline holds an Associate in Applied Science Degree in Natural Resource Technology. 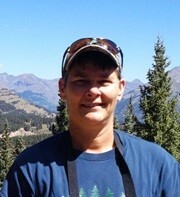 Previous Employment: With over 25 years in the field, Joline has gained a wide range of forestry experience working for many different agencies including Itasca County Land Department, the Minnesota DNR, the University of Minnesota and UPM Blandin. Tom grew up in Grand Rapids and was raised on a family farm. He graduated from Grand Rapids high school in 2000. Tom has taught Natural Resources Law Enforcement since 2013. Tom is married and has 3 young children. 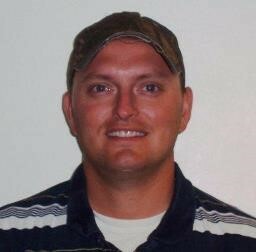 He and his family enjoy recreating in the outdoors including boating, fishing and many forms of hunting and trapping. Education: Tom received an Associate of Arts degree from Itasca Community College. He then transferred to the University of Stevens Point Wisconsin, where he received his Bachelors of Science in Natural Resource Management and a minor in Natural Resource Law Enforcement. Tom then attained his peace officers license from Hibbing Community College. 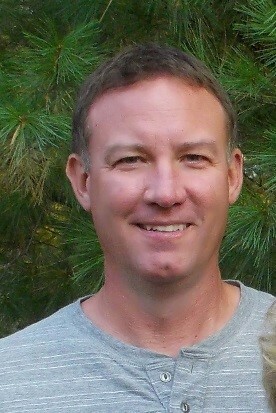 Employment: Tom has worked for the MN Department of Natural Resources since 2006 as a Conservation Officer and currently serves the Grand Rapids Area. Tom began his Law Enforcement career as a police officer for Hill City, where he was promoted to Police Chief. In addition to directly entering the workforce, Itasca's Natural Resource graduates have many different options available for transferring their completed coursework in order to obtain a Bachelor of Science degree. For example, graduates may pursue a B.S. degree in Forest Resources or Recreation Resource Management at the University of Minnesota - St. Paul; or they may choose the University of Minnesota - Crookston, where a B.S. is available in Natural Resource Management; or graduates may decide on the University of Wisconsin - Stevens Point where a B.S. may be obtained in a variety of fields including Forestry, Resource Management, Wildlife Management and several others. GIS/Geospatial graduates may transfer to Bemidji State University for a B.S. in Environmental Studies/GIS, while Law Enforcement graduates may transfer to either Bemidji State University for a B.S. in Criminal Justice or Hibbing Community College to complete the law enforcement portion of their degree. Itasca Community College's Natural Resources program, leading to the Associate of Applied Science Degree is accredited by the Society of American Foresters (SAF).The Council for Higher Education Accreditation recognizes SAF as the specialized accrediting body for forestry education in the United States. Itasca Community College is also one of more than twenty five member colleges that make up the Council of Eastern Forest Technician Schools (CEFTS).